Severe weather can come on quick, which is what caught boaters off the Texas coast this past Sunday. Thanks to the men and women of the USCG who risk their lives to save ours! The Galveston Beach Patrol and Coast Guard Station Galveston rescued a total of 12 boaters from three separate boats after their boats capsized from severe weather. 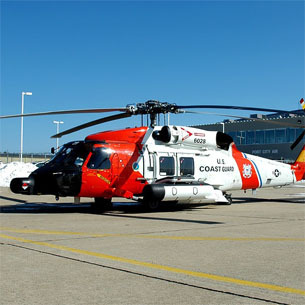 Coast Guard Air Station Houston helicopter crews hoisted a fisherman to safety after he fell into the water 11 miles off Galveston. 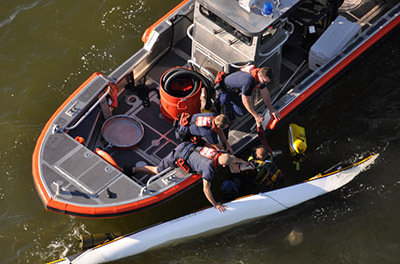 Coast Guard Station Freeport rescued a kayaker who was offset by weather off Surfside beach in Freeport. A good samaritan assisted Coast Guard Station Sabine Pass in rescuing three boaters 23 miles southeast of Sabine, after their boat starting taking on water. “We assisted 17 mariners who were first hand witness to the devastating effects of strong winds and heavy rains,” said Lt. Matthew J. Walter, a command duty officer at Coast Guard Sector Houston/Galveston.